Check-in begins in Hyde Hall in the Refectory. Participants may visit with various campus offices and representatives before eating lunch. 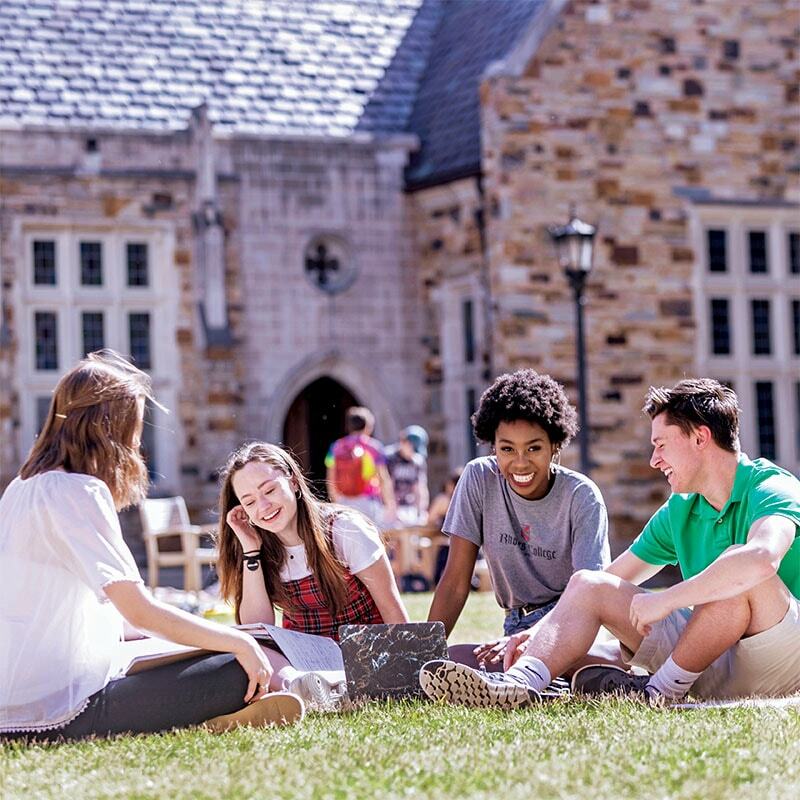 Welcome from members of the Rhodes College community. Join us for a welcome from the Office of Academic Affairs to discuss the first year of academic life at Rhodes. Find out more about the Foundations Curriculum and the Search and Life sequence. 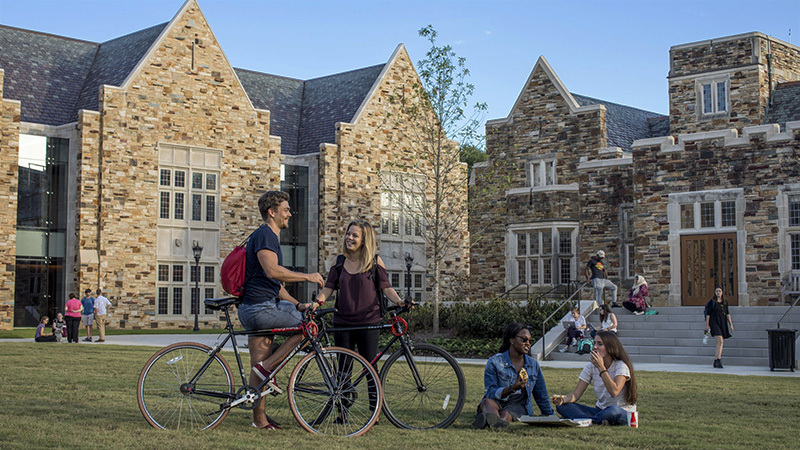 academic transition to Rhodes College. Students will hear from faculty and Academic Resource Team staff about resources to support their academic success. Any student interested in health professions or veterinary medicine should attend this session. Grab some dinner and join the Director of Health Professions Advising, to hear more about the program. Get to know your fellow classmates over dinner in the Catherine Burrow Refectory. Parents & family members will engage in a discussion on transitions that they and their students will soon face. Faculty members will provide an overview of the academic disciplines and discuss career and learning opportunities available to students. Conversation. A list of local restaurant suggestions will be provided. Cap off the activities of Open Rhodes Day One with events designed to give you a taste of life at Rhodes. Students will have an opportunity to hear from the Dean of Students Office on topics related to Inclusion & Involvement, Campus Services, Academic Support Resources, and the required Title IX and Alcohol EDU modules. Students will learn about Rhodes values, diversity, traditions, and school spirit. Students will have an opportunity to relax and mingle in an informal environment. Students will receive information about registering for classes, AP/IB credits, the language requirement and First Year Writing Seminar. Students will hear brief descriptions of the opportunities in different departments, majors, and programs. Foundation requirements will be reviewed. Students will meet with a faculty member to discuss their academic interests and plan their first semester schedule. During one of these times, students will be assigned to meet one-on-one with a faculty member to discuss and submit course requests. Mini-sessions (see chart below) will be offered every half hour. Students are encouraged to attend Mini-Sessions when they are not meeting with their adviser. Parents and family members will have an opportunity to hear from the Dean of Students Office on topics related to Inclusion & Involvement, Campus Services, Academic Support Resources, and the required Title IX and Alcohol EDU modules. Light Refreshments, Coffee, Water and Tea will be provided. Mini-sessions (see chart below) will be offered every half hour. REMEMBER TO CHECK OUT OF YOUR ROOM & RETURN THE KEY IN THE SOCIAL ROOM OF WEST VILLAGE.